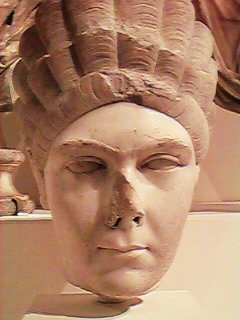 Ulpia Marciana was the older sister of Trajan born in 48 AD. 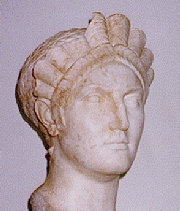 Marciana was devoted to her brother as well as his wife Plotina. She married C. Saloninus Matidius Patruinus with whom she bore a daughter,Matidia. Her husband later died in 78 AD. Marciana was a great help to her brother. She was given the rank of Augusta in 105 AD, but she was rather reluctant in accepting it and insisted upon sharing that title with Plotina. 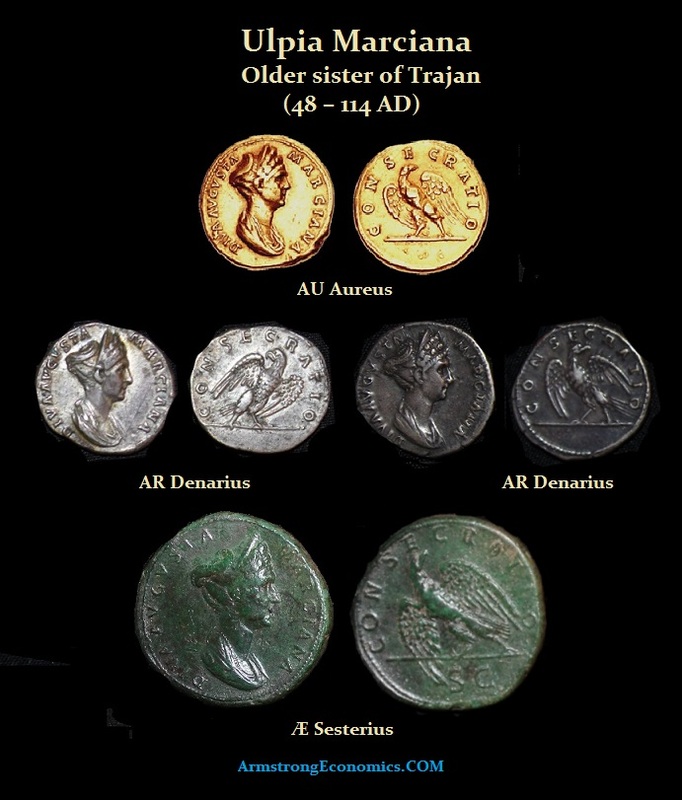 Trajan’s love for his sister is well documented. Not only did he honor her during her lifetime, but he also honored her following her death in 112 AD. 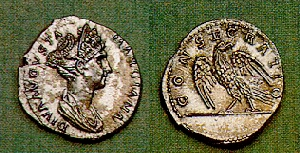 Trajan named two cities after her – Marcianopolis in Moesia and Ulpia Marciana Traiana in Africa.